The Topeka Collegiate School middle school athletic program focuses on the total development of the student-athlete while providing them the opportunity to compete in organized sport. TCS competes as a member of the Topeka Parochial League which includes different schools with middle school student-athletes from the Topeka area. 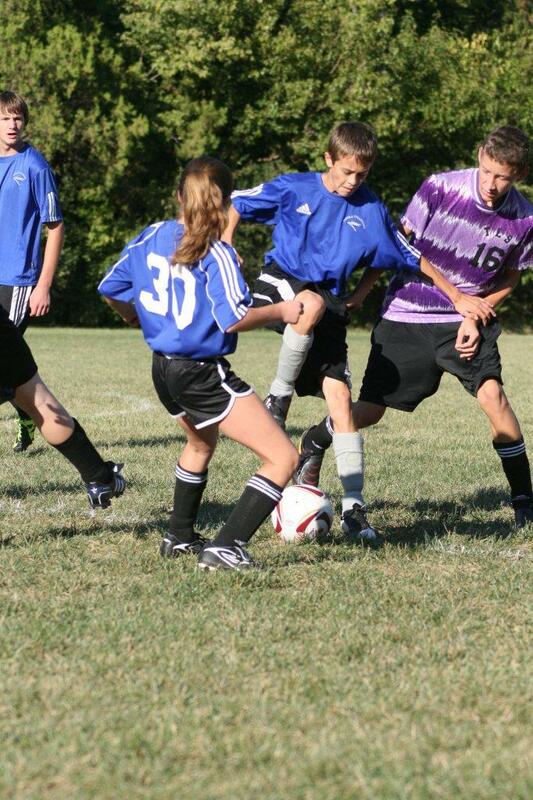 Topeka Collegiate offers co-ed soccer and girls volleyball during the fall portion of the year, while offering boys and girls basketball during the winter. Track and Field is also offered to both boys and girls during the spring. Click on the link Parochial League Schedule for the must current schedules available. "Do you know what my favorite part of the game is?